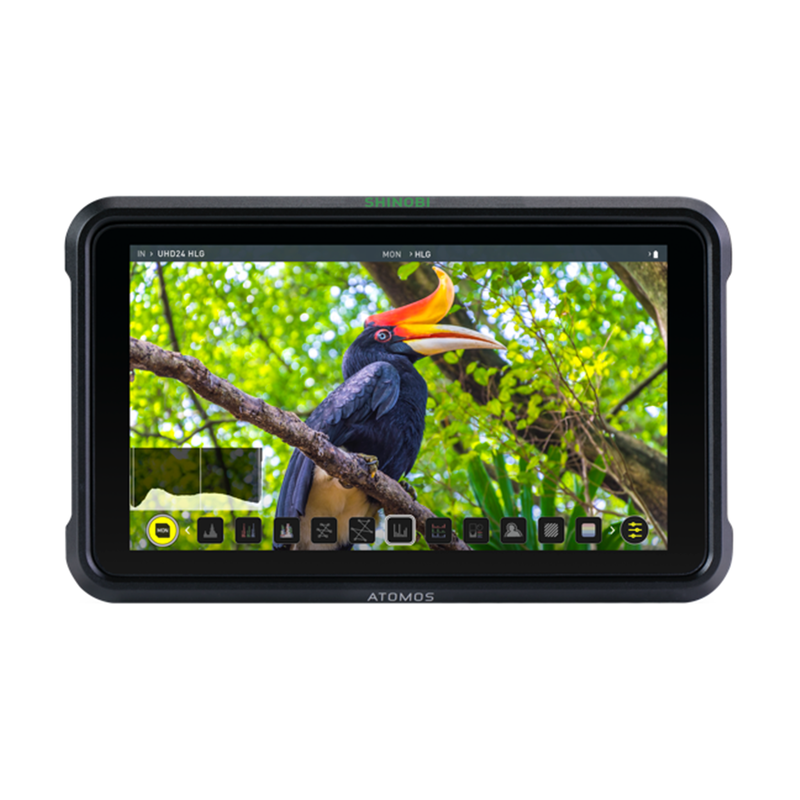 Go anywhere and see everything exactly how you want it with the Atomos Shinobi - a high brightness 1000nit 5 inch HDMI monitor that's perfect for vloggers, creatives and photographers. 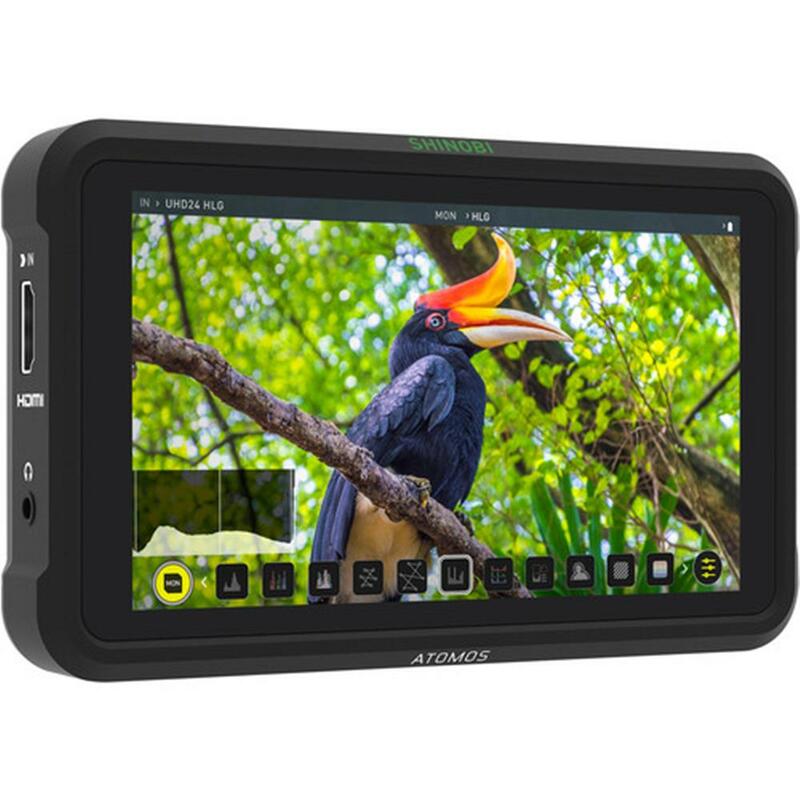 Atomos has been developing amazing monitor and recorder technology for years in order to simplify and improve video creation. Shinobi, their first stand-alone small monitor, features all of their amazing screen processing technology and professional monitoring tools – now packed into a 5 inch ‘monitor only’ device. Shinobi features a ‘run all day’ single battery, 1000nit high brightness screen, HDR capability and advanced functions that are easy to use. There's even a new selfie Mirror Mode for vloggers and a new multi-tool Analysis View that's a cinematographer's dream. Set up your shots accurately using advanced histograms, waveforms and video scopes. Shinobi is the perfect companion to improve any photo or video production. 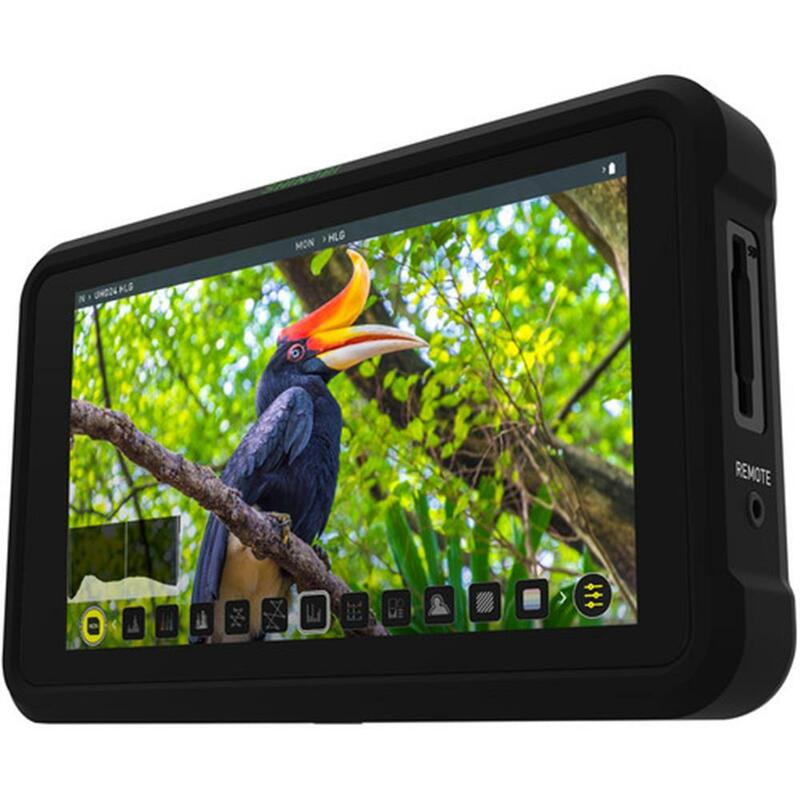 Shinobi utilizes their revolutionary AtomOS 10 platform and is packed with an extensive suite of scopes and simple one-touch operations. Shinobi includes monitoring tools for focus, framing & exposure, including Focus Peaking, 4:1 / 2:1 / 1:1 Zoom, Zebra, False Color, Frame Guides, SMPTE Safe Area, Waveform, RGB parade, vectorscope, a new multi-view 'Analysis' view and a flexible 3D and 1D LUT, Profile and Preset support (upload .cube files via SD Card) and options for anamorphic desqueeze monitoring. Atomos understands how important it is to see what you're shooting at all times. With the new Analysis feature you can now simultaneously see what you are shooting, view a waveform, histogram and vectorscope, ensuring complete control of your image. You can even switch between different waveform, histogram and vector scope options on the fly with a single touch. The Shinobi screen displays a stunning 10+ stops of dynamic range in realtime from Log/PQ/HLG signals. Combined with Atomos' unique HDR monitoring features, the Shinobi simplifies the complexities of shooting Log and HDR, helping you to replicate post-production workflows at the moment when it matters most – while shooting. Atomos looks after the technology so you can focus on the story telling. Calibration is the key to a trustworthy monitor. The Shinobi monitor can be calibrated using X-Rite's i1DisplayPro for ongoing accurate HDR and Rec709 monitoring. This ensures accurate monitoring for reliable results. Monitors drift and calibration is the only way to ensure your eyes are not deceiving you. Designed purely for monitoring purposes, Shinobi requires very low power in standby or monitoring modes. This translates to 'all day run times' of a single battery* and lasting endurance when you're at the end of a shoot. Refer to specs for more information. When attached to your camera, the size and weight of your monitor matters. Atomos shaved Shinobi down to just 196g (7oz) and added ¼"-20 screw mounts top and bottom for ease of cage and adaptor rigging. The center mount battery makes balancing easy and manoeuvrability instant. The Shinobi is compatible with most cameras, smartphones and HDMI-ready devices.